These glasses are being used to visually distract patients so their brains will rewire back to their original state. Ohio State University researchers are using special glasses to help patients fully recover after suffering an anterior cruciate ligament (ACL) tear. 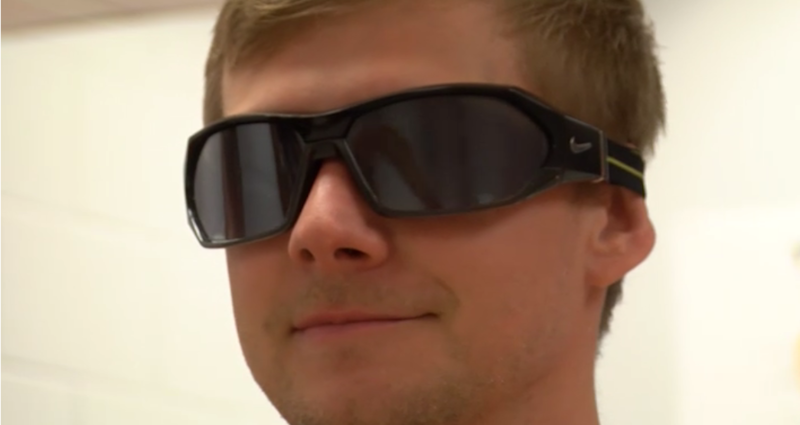 The glasses help rewire the brain after documented changes following a knee injury. The scientists compared brain scans of healthy adults versus those recovered from ACL injuries when extending and flexing the knee. The scans show the patients relied more on their visual systems in the brain instead of relying on movement or spatial awareness. "It's like walking in the dark, you don't walk as fast, you don't move as confidently," according to Jimmy Onate, a health and rehabilitative sciences researcher. The glasses are designed to visually distract patients, so their brains will rewire back to their original state. Statistics show people who experience an ACL injury and attempt to return to activity are 30 to 40 times more likely to sustain a second ACL injury. The research was published in the Journal of Orthopaedic & Sports Physical Therapy. This story originally aired November 14, 2016.